Reeling from the revelation that Target is leaving Mondawmin Mall, local officials have been grasping at rumors and conjecture to explain the chain’s decision. Mayor Catherine Pugh announced yesterday that she is skeptical of claims that the West Baltimore store is “under-performing” and alluded to data that she says she’s seen that showed the store did a large amount of business. “It’s a 28-million-dollar store. People don’t walk away from that kind of revenue,” she told reporters at City Hall. Saying “the community really enjoys shopping at that Target,” Pugh said she will “absolutely” try to convince Target, a national chain based in Minneapolis, MN., and its CEO, Brian Cornell, that the store should remain open. 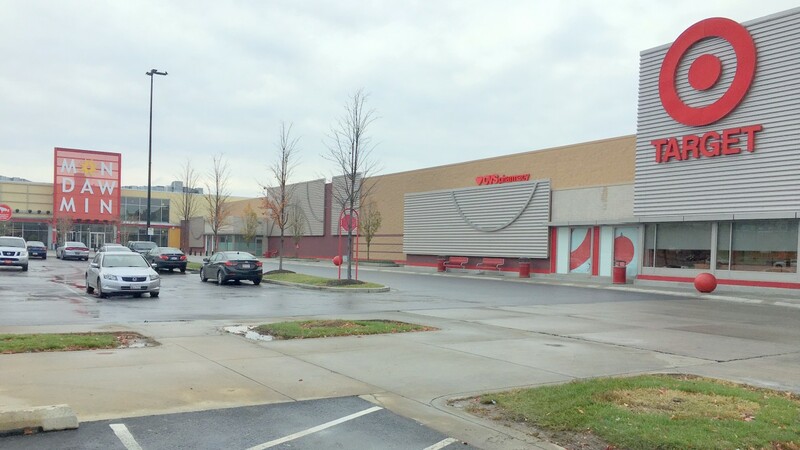 Noting that “the city made a great investment in the entire mall in terms of TIFs” – a reference to $15 million in tax incentive bonds spent on Mondawmin Mall before Target opened the store – Pugh pledged to “do anything” to keep the store open. “I’ve invited myself to Minnesota to have a conversation around the closing of Target,” she said, telling reporters that she left a message on the home phone of CEO Cornell as well as wrote a letter to the company. “I’m waiting for a response,” she said. Meanwhile, state Sen. Barbara A. Robinson, who represents the 40th district where the store is located, fed a persistent shoplifting rumor. At a community forum on Monday night, she said that “a company representative. . . actually did talk about theft” at the store. Published reports say that Baltimore Police received 231 calls for larceny at the store between November 14, 2016 and November 13 this year. There was no further data on how the number of calls compare to other Target locations or how many of the calls resulted in arrests. At the forum, organized by 7th District Councilman Leon Pinkett, many distraught residents offered anecdotal accounts about the store, most of them describing it as always busy. “Money’s not the issue,” the former Target manager said. The West Baltimore store actually made more money than its suburban counterpart in Owings Mills. Target’s decision to close the store came as a surprise to General Growth Properties, owner of Mondawmin Mall. “They were as stunned as we were,” Cole said. “From a sales standpoint, we met our numbers,” she told the audience. “Money’s not the issue,” she continued, saying that the West Baltimore store actually made more money than its suburban counterpart in Owings Mills. Her theory on the real reason behind the closing? “The intention or the expectation was that gentrification would happen more quickly on the West Side, and it has not,” she said. She urged the Pugh administration to give up the notion of reversing the company’s decision and should instead focus on what Target has become for West Baltimore – a community resource. She said the store hired locally and interacted with the neighborhood (“We did Library Makeovers, we did Read Across America”). A replacement use for the building, she said, should reflect such ideas. “Is there room to make this a community space, not just a consumer space,” she asked, suggesting “a basketball court, a swimming pool, IT labs, a maker-space” featuring black-owned businesses.